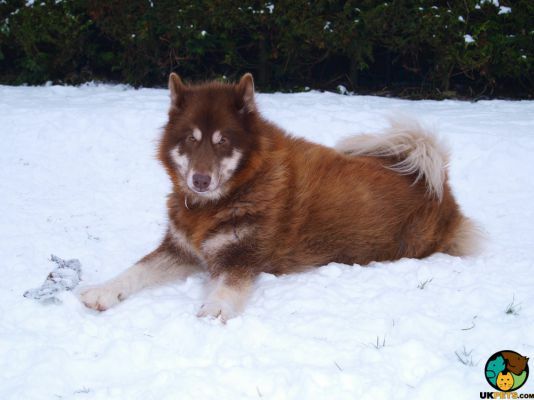 Looking for a Canadian Eskimo Dog? 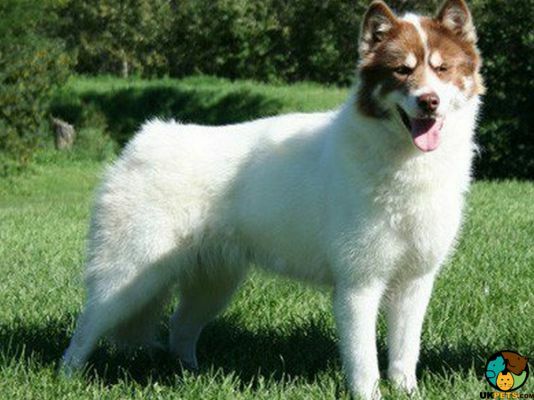 The Canadian Eskimo dog, also known as Qimmiqs, is a working dog of the artic breed almost similar in looks to a Siberian Husky because of its thick coat. It is a sled dog that is reportedly bred with wolves. It weighs 65 to 90 pounds and stands 50 to 70 centimetres at the withers. Canadian Eskimos have a robust and athletic appearance. They are hardworking dogs. Qimmiqs are also loyal, brave, intelligent, and alert. They usually live for about 15 years. Are you looking for an arctic breed like the Canadian Eskimo dog? Here is a brief information about this hardworking and sturdy dog. The first Canadian Eskimo dog dates back to 1100 to 1200 A.D in the midst of the Thule Inuit migration throughout Canada's Arctic Region. They were called Qimmiqs then and were bred to haul sleds and hunt polar bears. The Canadian Eskimo dog survived the harshest terrain in the world and continued to be a popular sled dog for expeditions till the late 1800's and early 1900's. However, with the advent of snowmobiles, the Canadian Eskimo dog almost became extinct. In fact, by 1970's there were only an estimated of 200 pure dogs left. 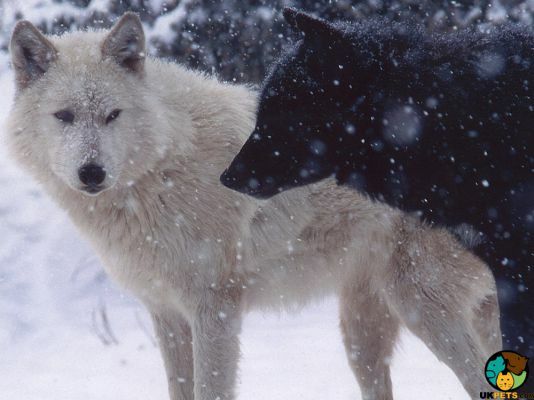 In 1972 William Carpenter and John McGrath, initiated a breeding project to rescue the breed. 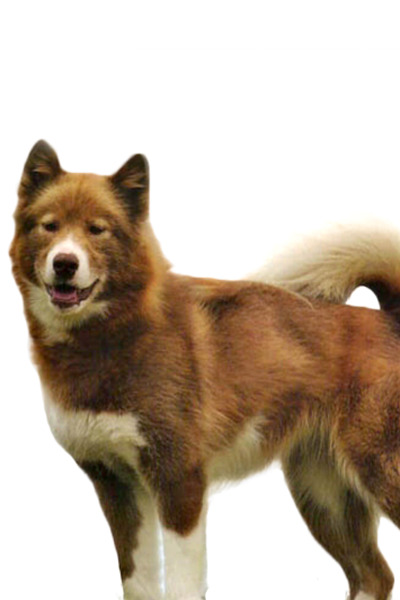 They created the Canadian Eskimo Dog Research Foundation Kennel Club. In 1986, the first Canadian Eskimo dog was registered in the Canadian Kennel Club. It was only on January 1, 1996, that the United Kennel Club recognised this dog breed. The Canadian Eskimo dog must be an epitome of strength, endurance, agility, alertness, and boldness. It is a large dog that weighs 65 to 90 pounds and stands 50 to 70 centimetres at the withers. It is a typical spitz-type dog in appearance, similar to Huskies. It is powerfully built with well-proportioned heads that are broad and wedge-shaped. It has moderately long muzzles that taper to the nose. Canadian Eskies have round eyes that are set wide apart and placed obliquely to their face. Eyes must have dark colours and a few light colours such as hazel and yellow, but never blue. Canadian Eskies' ears are triangularly shaped, thick and short with rounded tips. They also sport a strong jaw with a perfect scissor bite. Necks are straight, short, thick and well-muscled. Their shoulders are broad and nicely sloped. Being solidly-built, they have a well-developed, broad and deep chest with well-sprung ribs and sturdy loins. Canadian Eskimo dogs have a heavily feathered tail that rests over their back. The Canadian Eskimo dog boasts of a dense double coat with thick and soft undercoat and stiff and coarse guard hairs or topcoat. It also has a mane of thick fur around its neck, which makes it appear larger than its actual size. Canadian Eskies can sport almost any coat colour as long as it is not one colour, or colour pattern should dominate the breed. 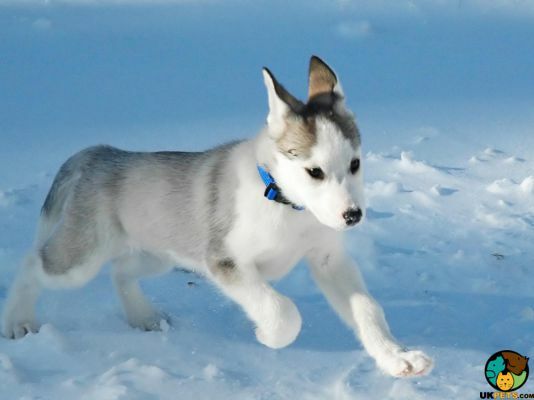 Accepted breed colours are white, black and white, grey sable, grey and white, red and white, sable and white, white and red, and white and grey. Despite their thick and dense coat, surprisingly Canadian Eskies are low maintenance when it comes to grooming. Brush the coats once or twice a week to keep it neat, tidy and in good condition. However, they do shed more during spring and autumn, which merits frequent grooming. Other grooming regimens also include nail trimming, cleaning the ears and brushing the teeth for good oral health. The temperament of a Canadian Eskimo dog should reflect its hardworking nature. It is gentle and affectionate and exhibits quiet friendliness as well as harmless curiosity. It is also somewhat distant but develops a strong bond with owners. It is loyal, courageous, intelligent and alert. It has specific training needs, which make them only suitable for experienced dog owners who know how to handle this type of breed. Since Canadian Eskies were initially bred to hunt, their prey drive is quite high. Thus, this dog breed is not the best choice for families with small children and small pets. However, if it can't be helped, make sure that interactions are strictly supervised to prevent any accidents. The Canadian Eskimo dog also has a dominant nature that is quite problematic with other dogs, so early socialisation is crucial and establishing yourself as the leader of the pack in the household will also help a lot. When it comes to barking, Canadian Eskies might prove to be challenging since they tend to howl when the mood strikes them. A typical serving of an adult Canadian Eskimo dog is 4 to 5 cups of high-quality dry dog food per day. Amount of servings will depend on the age, activity level and metabolism of the dog breed. Like any other dog, Canadian Eskimos may have unique nutritional needs, so don't rely only on online sources. Consult a veterinarian to know about your Canadian Eskimos dietary requirements. Canadian Eskimo dogs require a high-protein dog food. Make sure to supplement with meat, bone meat and fat. 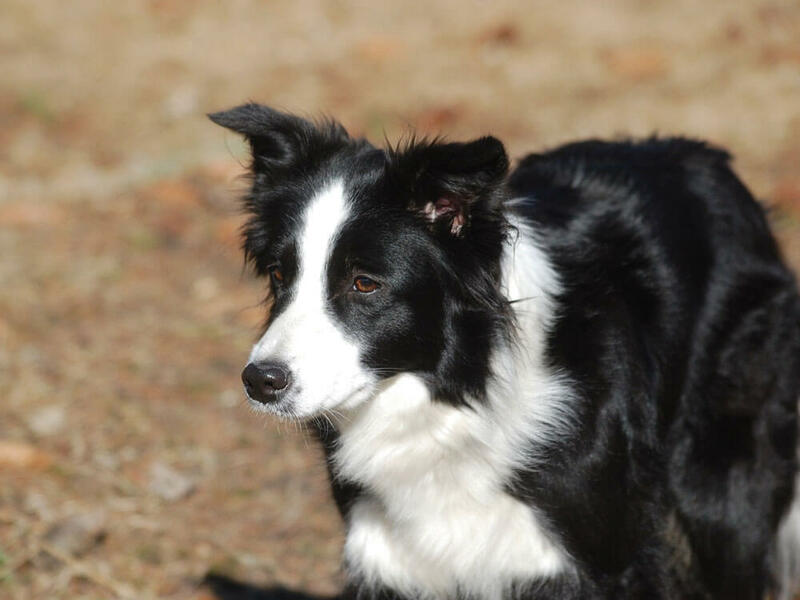 Since this dog breed comes from an environment low in supply of vegetation, their bodies never developed the capacity to digest certain grains and edible plants. Canadian Eskimo dogs are healthy but are still known to suffer certain health conditions. You need to have your Canadian Eskie checked for Hip and Elbow Dysplasia, Bloat or Gastric Torsion, Entropion and Ectropion, Cataracts, Corneal Dystrophy, and Heat Stroke/Intolerance. They are also unable to digest plant-based food and are known to suffer from arthritis. As working dogs, they need a ton of exercise. They need more activity other than walks around the neighbourhood. They thrive to be good running and hiking companions. Inadequate exercise can cause them to become bored and destructive. Also, a significant reminder when you take your Canadian Eskimo outdoors, avoid walking them in sweltering weather. Some people do become excited in getting a dog that they often neglect to consider the financial setbacks it may bring. There is more to owning a Canadian Eskie than buying them food. 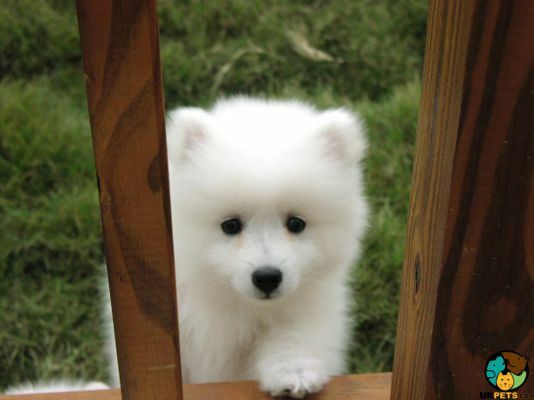 For one, buying a Canadian Eskimo dog will cost you £600 and upwards especially if they came from a reputable breeder. Pet insurance will cost you about £20 for a basic cover and £50 for a lifetime policy. Now for the cost of food. You will need to set aside a monthly budget of £40 to £50 to buy premium quality dog food. On top of this is the veterinary expenses. The annual cost for regular health checks, initial vaccinations, boosters, and neutering will cost you around £1,000. As a rough estimate, owning and raising a Canadian Eskimo dog will cost you anywhere from £70 to £100 monthly. This estimate does not include the type of insurance you will avail of and other veterinary expenses for special treatments and procedures not covered by the insurance. Is a Canadian Eskimo Dog Right for You? Canadian Eskimo dogs are loyal and affectionate. It is extremely intelligent and easy to train. It is not ideal for first-time dog owners. It sheds throughout the year but more so during autumn and spring. It has a dominant nature and may get in trouble with other dogs. It is not the best choice for families with small children.